GameBoy Advance | Binary Messiah - Reviews for Games, Books, Gadgets and more! 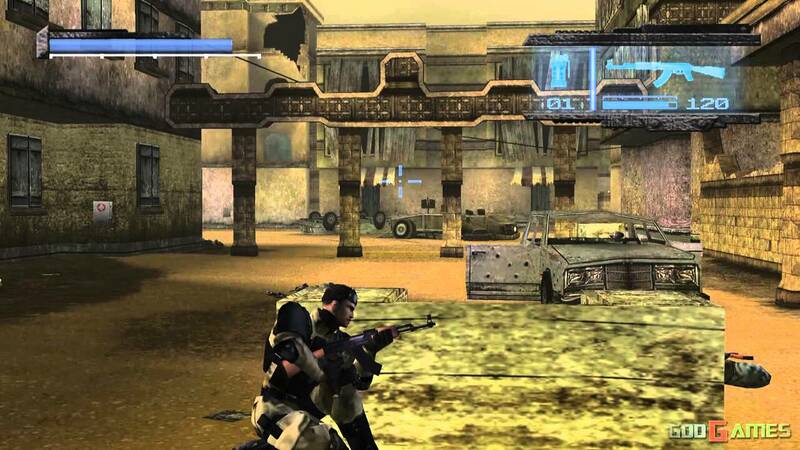 Cover based third person shooters weren’t really a thing until the last console generation. Third person shooters took quite a while to evolve into something truly stunning, and the best example of this is Gears of War which is third person shooting perfected. Kill Switch was actually a sleeper hit back in the day and was widely talked about due to the great shooting and cover mechanic. Kill Switch has a story that sees a male protagonist (I can’t even remember his name the story is so lame) trying to stop a dude named Archer from launching a nuke. In the process, you are trying to recover your memory of your wife being murdered by him? I don’t even know. The game is so short that it doesn’t allow any type of story to evolve let alone a bad one. The story is completely forgettable and I skipped all the dialog towards the end because it was a hot confusing mess. The gameplay is where it’s at here. 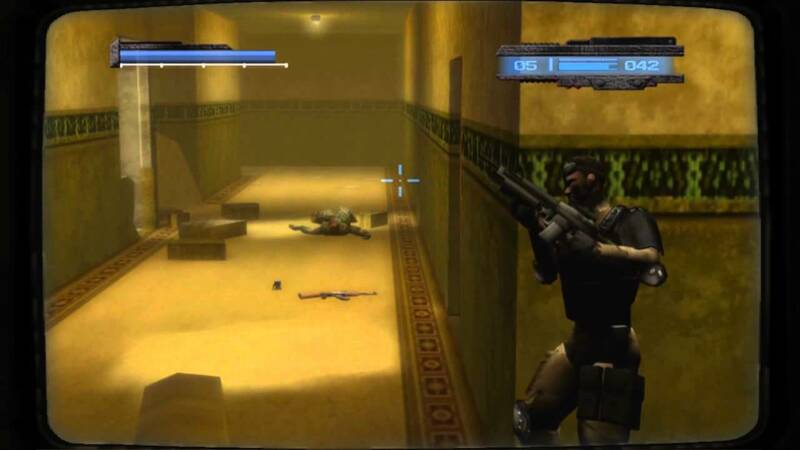 The controls are simple and the game is run and gun at its finest for the time. Holding R allows you to buckle against a wall or obstacle and you can blind fire over it, or you can pop up and shoot more accurately. I found that blind firing doesn’t quite work well if the obstacle is higher than you can raise your gun. Most of the time it did not work so I stuck to pop up shooting. You can throw grenades and flash bangs as well as dodge rolling and melee attacks. It’s pretty standard affair, but at the time it was done so well that there was nothing like it. I have to say the level design is just plain bad and boring. 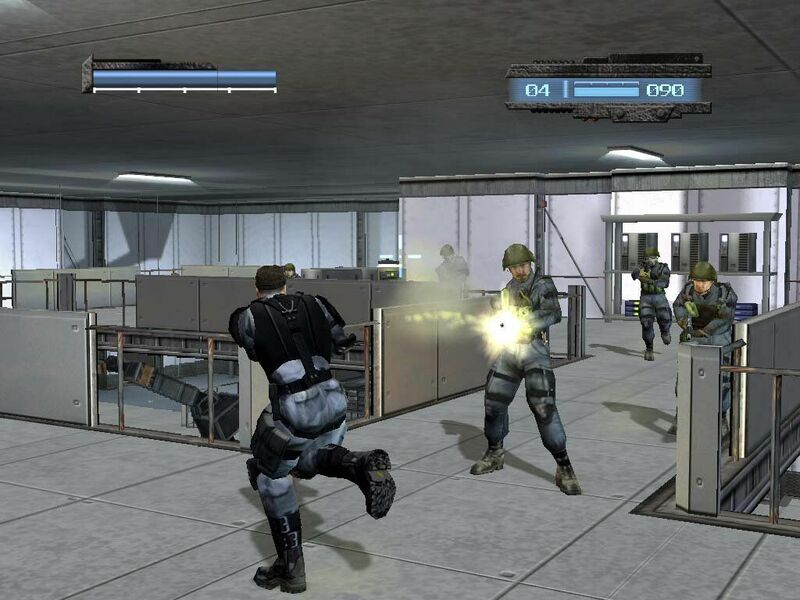 Every level is a stereotypical military base with boring blank walls, stairs, and rooms. There is absolutely nothing to look at here despite the game being technically quite good looking. The textures are sharp, the models are nicely made, and the animations are pretty good. It just goes to show that you are literally just coming into this game for the shooting and that’s it. Maybe it’s a good thing this game is so short. Clocking in at about 4 hours if you don’t die a thousand times over trying to get through the hordes of enemies. There were issues with major difficulty spikes and draw distance. I would have a guy shooting at me accurately beyond where I could see — even with a sniper rifle. The weapons are nothing to write home about either, just your typical military machine guns and your token shotgun. Overall, Kill Switch is worth a buy for its great gameplay that fun and addicting. Just don’t expect a story or anything nice to look at. Is there a reason for there to be a sequel? Well, the story somehow manages to say that it hasn’t ended yet, but Kill Switch has no relevance today with better cover shooters like Gears of War. If it were rebooted into something fantastic that’s another story, but I honestly can’t see that happening. Kill Switch belongs in 2003 and should stay there — nice and snug. F-Zero is a much-loved series, but it doesn’t get much love from Nintendo. With the Gamecube having the last F-Zero game, fans are wondering if the series is completely dead and shelved by the big N. Thankfully, fans who loved the SNES classic can have even more with Maximum Velocity. 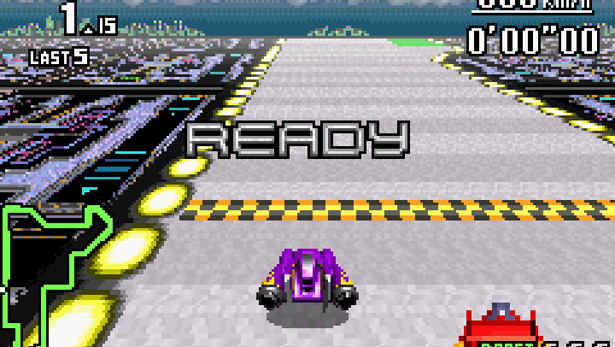 Maximum Velocity is pretty much built on the same engine as the SNES using Mode 7 graphics. However, this may not have been the best choice to go as there are other more advanced racing games on the system. There are only four cars to select and I found the controls to be incredibly slippery and the AI to be extremely difficult to beat. The tracks are fun to drive, but the sense of speed is great, but the game is just lacking in overall content and polish. You could write all that off on the age of the engine, the GBA’s inferior hardware, or lazy design. Maximum Velocity feels more like an expansion pack to the original game more than one that can stand on its own two feet. After you have memorized all the hazards and turns in each track it does get easier, but not by much. This game is for players who want a serious challenge with the retro feel. While the GBA isn’t exactly ideal for racing games, this one really stands out as one of the best, people going back in time may find it nearly impossible to play due to its ancient gameplay ideas and design. 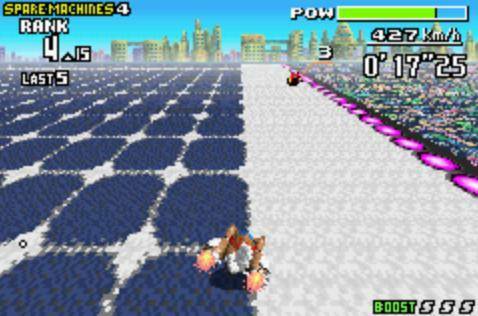 However, you are missing a great opportunity to spend a fun afternoon racing on your GBA. 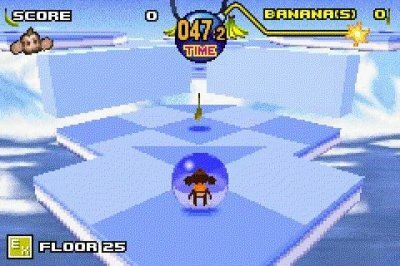 Super Monkey Ball is one of those odd games that, these days, feel like it should be on a phone. It’s good in quick bursts or to beat your high score, but that’s about it. 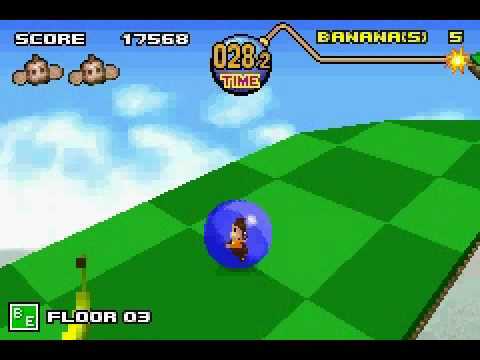 SMB is all about tilting a world around to get a monkey stuck inside of a ball to a goal. It harkens back to Marble Madness and days when motion control was a new thing. 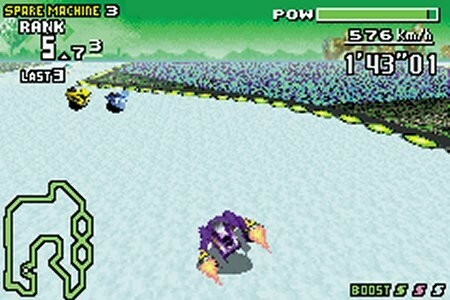 However, simulating physics and tilting on a GBA with a D-pad seems rather impossible but it’s not. SMB Jr. looks pretty darn good and feels natural with the D-pad. It feels like the game was hand tailored for the GBA. My only concern is that there’s no goal or challenge mode. You can select from sets of 10, 20, and 30 courses, you get two lives per level, and 5 continues per set. 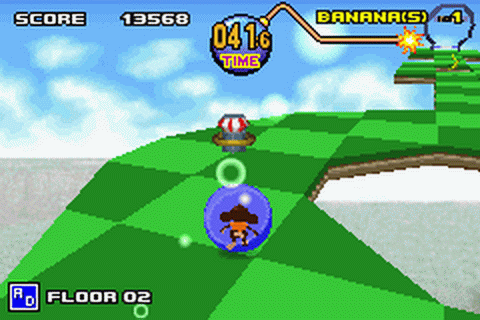 The goal is to try and collect all the bananas while also getting to the goal before the timer runs out. Some levels are easy, some are hard, some feel nearly impossible. Tilting the world around to get the ball inside the goal is a lot of fun at first but then it starts to wear thin fast. After you beat all 30 areas there’s not much else to do. I won’t say SMB is a bad game, just shallow and lacks depth. It was more like the Gamecube version it may have been better, but understandably you can only fit so much on a GBA cart and the hardware is extremely limited. What is here is impressive for the little handheld. If you missed this little gem, pick it up cheap on eBay. You will have one fun, and frustrating, afternoon. While Nintendo may have dominated the handheld market before smartphones were even aforethought, there was something about them that made them just seem…ugly. Bulky, low-end specs, battery suckers; these are just a few names that early handhelds received from the original GameBoy, the Atari Lynx, all the way to even the GameBoy Advance. Handhelds required large casings as CPUs hadn’t quite been perfected yet and were large and bulky, not to mention screen technology was the same still being used in Texas Instrument calculators. LCD was extremely expensive and not cost effective for small devices yet. Same went for battery power. Lithium-ion batteries were extremely expensive and not ideal for handhelds. Then came the GBA SP. A sleek fold-up GameBoy with a rechargeable battery. It was the first of Nintendo’s handhelds that shed the disposable batteries and improved on-screen technology. The first thing you will notice is the sleek form factor. 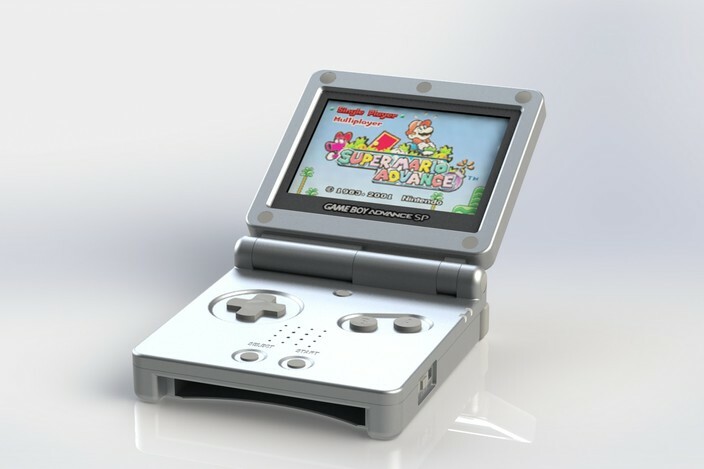 The GBA SP is an awesome looking device. The original model was bulky and didn’t quite fit in your pocket, thus having to walk around with those dorky GBA bags. The button placement was perfect and the battery lasted for an amazing 10 hours on one charge (15 if you didn’t use the backlight). There was just this perfect square in your hands and it would amaze schoolyard kids and gaming fans alike. I actually remember having one of these in junior high and original model owners were extremely jealous due to the form factor and the backlight. Speaking of backlight it was a huge deal. Self-lit LCDs were quite available yet so Nintendo stuck a backlight in the screen to brighten it up as the original model needed an actual flashlight clipped on top. While the screen is still quite dark it made a world of difference and was so much better in the dark. Kids who stayed up late playing their GameBoys were grateful as they no longer needed a flashlight to see the screen and catch their parents’ attention. 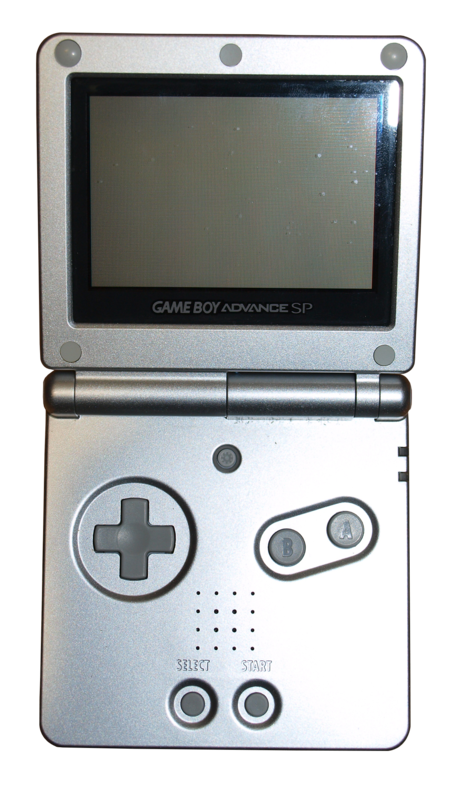 Later on, however, Nintendo release a newer model SP with an even brighter screen. These models are harder to find and were released towards the end of the GBA’s life cycle. One major downfall of the SP is the lack of a headphone jack. The speaker is hard to hear in noisy areas with the volume all the way up, so headphones would be ideal. An adapter was required and went to the Link Cable port as an actual output would not have fit into the casing. 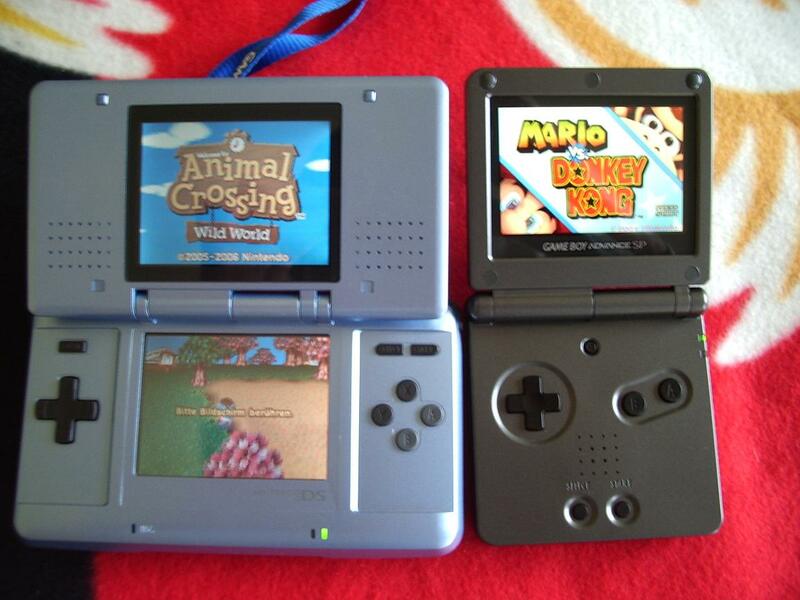 Aside from those issues, the GBA SP was the portable gamers dream. A strong library with backward compatibility for the GBA Color and original GameBoy what more could you want? 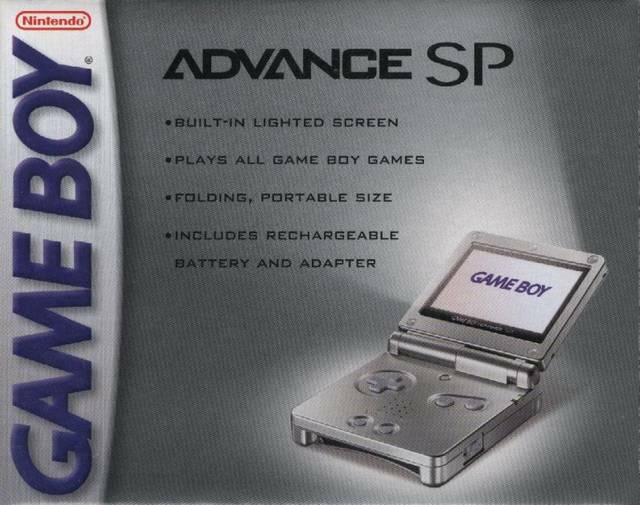 The GBA SP also came in several colors which weren’t seen too often in the States. Flame Red, Onyx Black, Cobalt Blue, and Silver were amongst the colors available, while a pink model and a retro NES style model were released later on. However, due to the GBA SP’s age, it really shows its teeth. Let’s take a look at the actual specs of the machine. Powering the entire system is an ARM7TDMI CPU at a whopping 16 MHz. Yeah, it’s ancient tech even for 2003, but it got the job done. It had 128 KB of VRAM and 256 KB of DRAM. Yes, that’s kilobytes. The resolution was 256×160 and displayed an astounding 512 colors. However, those dinky specs were home to some of the greatest games of all time; it just goes to show that power isn’t everything. With that said, the GBA SP is a must buy even for today. We have smartphones that are nearly as powerful as laptops now, the 3DS, and Vita that trumps the GBA in every aspect, but it’s the games that those devices cannot bring back. While the $130 price tag was well worth it back in 2003, you will pay close to that or more for one in nearly perfect condition. Honestly, they don’t exist. They are scratched up, dinged, and chewed on. I had to buy my new one with a refurbished third-party shell. If you’re a collector go this route on eBay. $60 will get you a new looking GBA SP. However, if you just want the games and don’t care, they run as low as $30 in pawn shops or eBay.